Searching for a privileged perspective on event publicity? 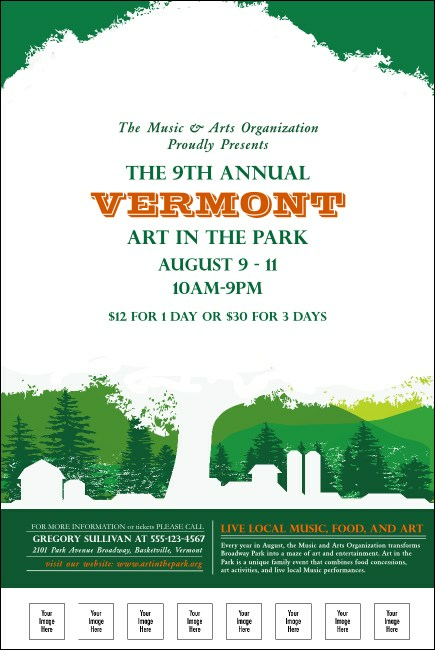 For a wide, sweeping vista from heights to rival Mount Mansfield, choose a big Vermont Poster in green and orange. With maples and mountains, this Poster helps you cast the widest net as you advertise your upcoming event far and wide across the state. Take a hike through TicketPrinting.com's vast selection of state designs!